A series of blunders by Microsoft has paved the way for Sony’s PlayStation 4 console to capture the top spot in year-end holiday sales. When Microsoft announced the price of its new console at a press event Monday there was an audible gasp from the audience of gamers and media. The $499 price tag is higher than the $375 to $450 range that Ward predicted ahead of E3. Part of the reason for the premium is because the Xbox One comes prepackaged with a Kinect sensor. Sony’s PlayStation 4 won’t require the additional depth-sensing camera and microphone combination that Kinect offers. Everyone left when they found out the price. A game developer who was waiting to try Microsoft’s Xbox One, but did not want to be identified by name, said he currently owns an Xbox 360, but that, “Microsoft has completely lost me.” He said that being forced to buy a Kinect sensor and pay a $100 premium is what turned him off. He said he plans to buy a PlayStation 4 when it becomes available later this year. “I like the PS4 more and the whole $100 less helps out a little,” said Jonathan Toyoda another gamer attending E3 who owns the PlayStation 3 and Xbox 360. He said that he’d put the $100 towards buying another game. “I like the games that come along with the PS4,” Paul Hsu a gamer at E3. He owns a PlayStation 3 and said he’d consider buying an Xbox One, but would likely stay loyal to Sony. Another point of contention among gamers is the new DRM (digital rights management) that Microsoft revealed. “It’s a new layer of complexity with what happens with used game discs,” Ward said. 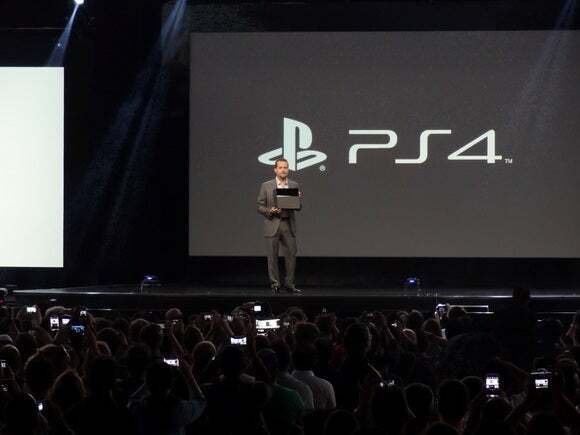 At Sony’s press event the crowd erupted into cheers and applause when Jack Tretton, president and CEO of Sony Computer Entertainment America, announced that the company would stick to the status quo allowing gamers to trade, sell, lend or keep disc-based games. “That will probably leave a little bit more money in gamers’ pockets and it will remove the complexity around how many versions I can give to my friend,’” Ward said. The lack of DRM in Sony’s plans might thrill gamers, but not necessarily game developers and publishers, he said. Sony’s aim is to convert current PlayStation 3 owners to PS4 buyers, Ward said. Making inroads in North America and stealing Xbox 360 gamers or prospective Xbox One customers would be “huge,” he said. From 2005 until the end of 2012, 250 million seventh-generation consoles were sold between Sony’s PlayStation 3, Microsoft’s Xbox 360 and Nintendo’s Wii, according to IDC. The Wii was a runaway with nearly 100 million units sold, but second and third place were much closer. Microsoft shipped 76 million consoles, while Sony 75 million.